Uveitis is broadly defined as inflammation of the uvea. The uvea is the middle layer of the eye, consisting of the pigmented vascular structures including the iris, ciliary body, and choroid. 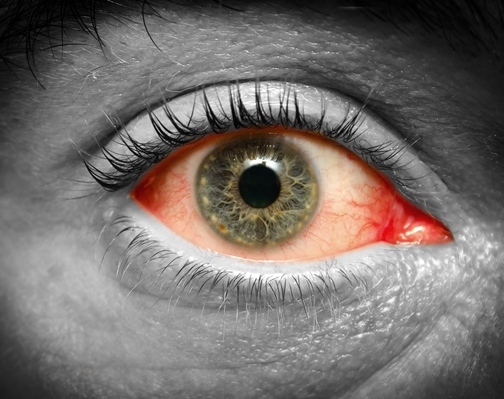 Uveitis can lead to redness and eye pain, glaucoma, scarring, and loss of vision. Uveitis requires treatment to control the inflammation. The most common cause of uveitis is related to immunologic factors, resulting in inflammation and tissue destruction of the eye. Although uveitis can be idiopathic, it can also be caused by trauma, infectious agents, or be associated with systemic diseases such as rheumatoid arthritis or lupus. Uveitis may be classified anatomically into anterior, intermediate, posterior, and pan-uveitis. Uveitis may cause eye redness, eye pain, blurred vision, light sensitivity, floaters, and/or headaches. Uveitis may be associated with abdominal or bowel symptoms, multiple sclerosis, arthritis or back pain, or other collagen vascular disorders. Uveitis is typically treated with glucocorticoid steroids, either as eye drops or oral therapy. When the inflammation is not well controlled or persistent, a peri-ocular or intra-ocular steroid injection can be administered. Very severe or persistent uveitis may require a steroid implant into the vitreous cavity.